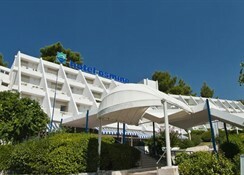 This fine hotel which has its own beach and can be reached in 30 minutes from the medieval city of Dubrovnik offer you and your family a pleasant and refreshing holiday. 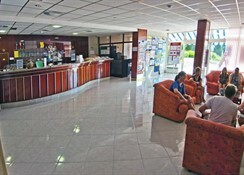 In the unique all inclusive price you get comfortable accommodation, diversified recreation, animation for every age, breakfast, lunch and dinner in buffet style in hotel restaurant, late snacks at aperitif bar, and choice of domestic drinks (strong drinks, beer, wine, non alcoholic beverages, tea, coffee) which are served at pool bar (from 08:00 till 24:00) and aperitif bar (from 17:00 till 24:00). Slano is a tourist resort in the vicinity of Dubrovnik. 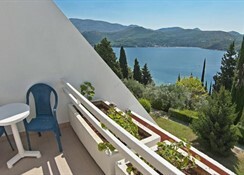 It is situated in a lovely bay with sandy beaches and lush Mediterranean vegetation. Inhabited alredy in ancient times, the town is now abundant in cultural and historic monuments, such as the 5th century Roman sarcophagi, Franciscan monastery with a church from the 14th century, the Palace of the counts from the15th century as well as numerous churches and chapels. 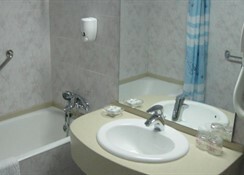 All rooms have balcony, bathroom (bath or shower), central heating, air conditioning, direct dial telephone, satellite TV, safety deposit box. Optionally: sea view, sea side view, garden view, main building, annexe building, rooms with sofa or with extra bed.